Although this campaign has concluded, if you would still like to make a donation to support the Heinz Chapel Choir Goldsmith Commission, you may always do so here. John Goldsmith was an a cappella specialist at the University of Pittsburgh where he directed the Heinz Chapel Choir and taught musicianship courses for undergraduates from 1989-2014. He led the Heinz Chapel Choir on ten international tours and presented concerts in Heinz Chapel to sold-out audiences every December. As a professional countertenor, Mr. Goldsmith was an alumnus of the male a cappella ensemble Chanticleer, made solo appearances with the National, Detroit, Columbus, and Yale Symphony Orchestras, the Princeton Pro Musica, the Cantari Singers of Columbus, Ohio, and Pittsburgh’s Chatham Baroque. Mr. Goldsmith performed with the Robert Shaw Festival Singers in France and Carnegie Hall (NY), and was co-founder of Pittsburgh’s Bach & the Baroque series as well as founder of the Bellefield Singers a cappella ensemble. He held conducting/teaching degrees from Capital University and Westminster Choir College. When John Goldsmith became the director of the Heinz Chapel Choir in 1989, it was his desire to establish its reputation as an exclusively a cappella choir to showcase a wide variety of choral literature and honor the beauty of the Heinz Memorial Chapel itself. A cappella singing is challenging at any level, but John faced an even more daunting challenge with a choir of very few music majors and many non-fluent music readers. Accepting that he would never have time to teach all the singers to sightread music, he adjusted his path to one of developing tonal memory and finely calibrated tuning. He created a specific tuning regimen for the pre-rehearsal warm-up that prepared the ears as well as the voices for learning. As the choir’s skills improved, he raised the level of difficulty of the warm-ups in order to keep the singers’ brains and ears engaged. It proved to be just the recipe for building this choir whose members possessed high-level cognitive abilities, thirst for learning, and love for ensemble singing. The calibration regimen was never skipped or shortened as it was the foundation of the choir’s ability to present 25 years of concerts at home and abroad with impeccable tuning and remarkably transparent balance of voices. When performing at home in Heinz Memorial Chapel, the choir followed John’s concert format, singing an opening set of pieces from the balcony, a middle set in a horseshoe around the audience, and a final set in the chancel facing the audience. This configuration was intended to give audiences a full experience of the acoustic and visual beauty of the space, a jewel in the crown of the University of Pittsburgh. In addition to HCC’s premiere of “When Spring Comes Walking,” Mr. Chilcott’s publisher, Oxford University Press, has committed to publish the piece, which will be dedicated to John Goldsmith. In this way, John’s memory and his love for a cappella singing will live on through the voices of innumerable choirs. We recognize the impact John Goldsmith had on his singers, the family and friends of the choir, and the wider Pittsburgh community and we invite you to join us in bringing this special piece of music to life. Your contribution will be applied directly toward the cost of Mr. Chilcott’s commission fee. 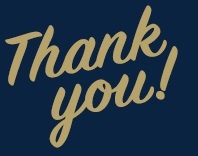 We thank you for your generosity and support of this project. Any funds raised over the cost of this commission will contribute to future commissions for the Heinz Chapel Choir. Although not the first to take HCC abroad, John Goldsmith established a regular cycle of international touring every 3 years, making music in French Canada (’91), Eastern Europe (’92), Greece & Italy (’95), Spain & France (’98), Coatia & Italy (’01), Scandinavia (’03), South America (’06), China (’09), Peru (’12), and the Balkans (’14) in his final tour before retirement. John Goldsmith directed HCC for an impressive 25 years before retiring in 2014. In all, he directed approximately 534 choristers and made an indelible impact on each of them. In his 25th and final year, he took the choir on an international tour of the Balkans. HCC was so lucky to have Mr. Goldsmith with them for a whole quarter of a century! JG gave a starting pitch to HCC with a tuning fork tuned to a frequency of 440 Hz, or the musical note A4. Today’s singers in HCC carry on the tradition by giving pitch from within the choir using their own tuning forks. Founded in 1938, the Heinz Chapel Choir has been celebrating traditions in music for 80 years. Many generations of alumni have been brought together though HCC, and it continues be a highlight of many students’ college experiences. Here’s to 80 years, and many more in the future! The University of Pittsburgh is 231 years old! Since 1787, Pitt has been making a name for itself as one of the leading research institutions in the world. 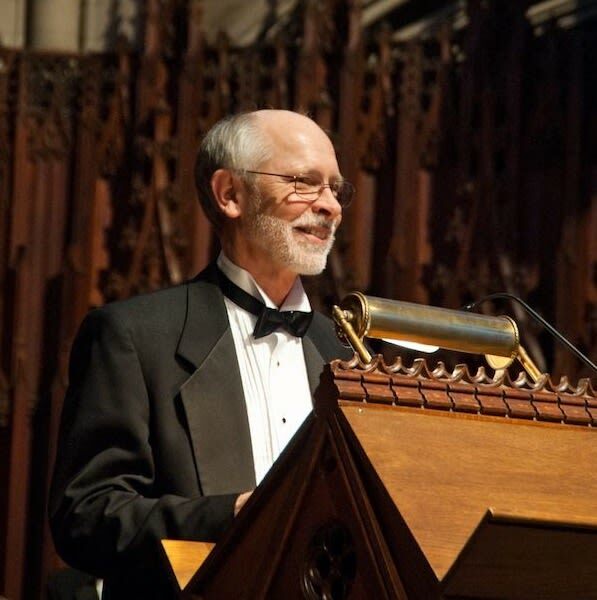 The University of Pittsburgh serves as the home and support system for the Heinz Chapel Choir, the group that will be able to sing a beautiful commissioned piece in honor of the late John Goldsmith with the help of your gift!